This series chronicles your impact on the children of the Hopechest Carepoint in Kaberamaido, Uganda. We are unbelievable grateful for your support. You made it possible for the kids to live healthier and better lives. 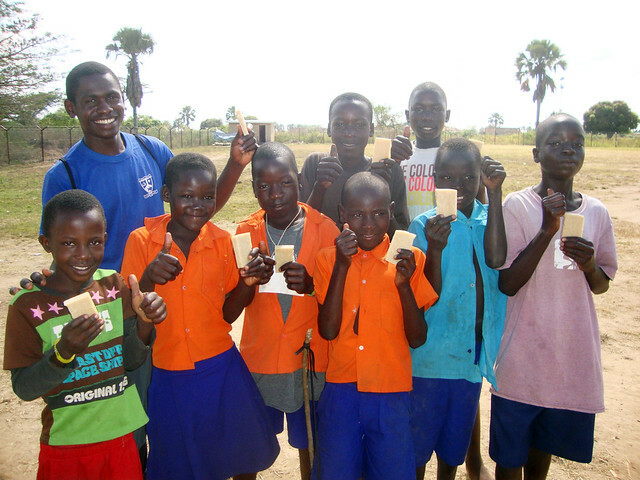 Hear Clare’s update on her visit to Kaberamaido, Uganda. 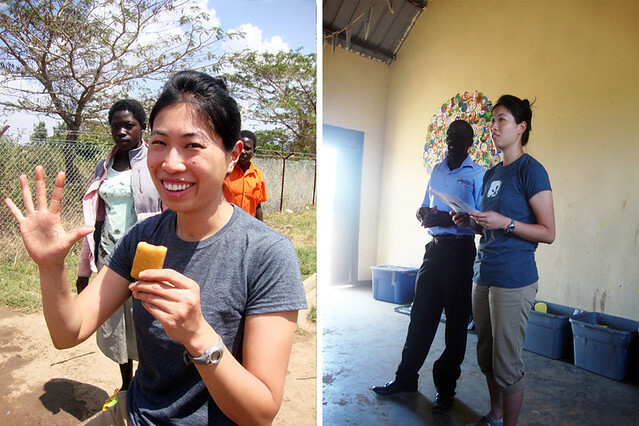 Clare shares her experience leading a handwashing workshop. 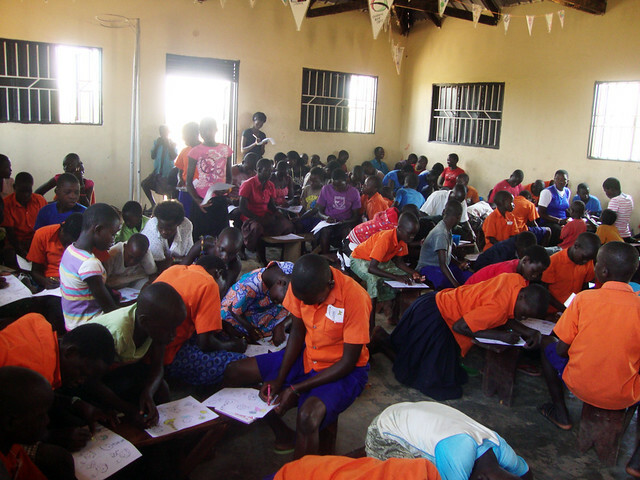 We sat down with Clare to talk about her experience with the kids in Uganda. Hear her thoughts below! We all know how important it is to have good hygiene practices. We’re taught in school that we should wash our hands after using the restroom, cover our mouths when we sneeze, and wear clean clothes everyday. We might forget to this, but we know how germs are spread. 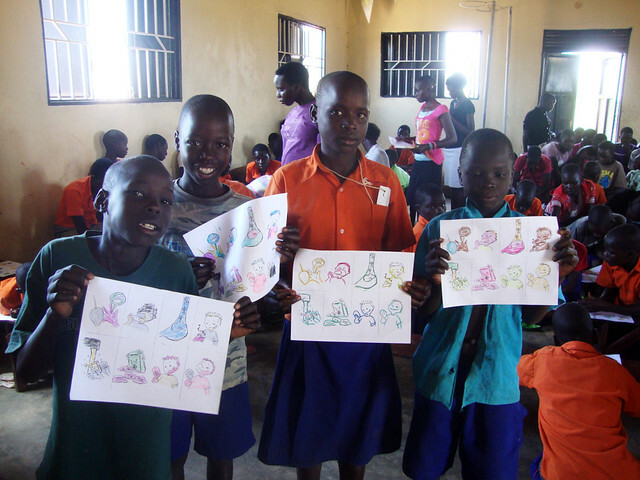 The kids in Kaibermaido, Uganda don’t know the effects of what poor sanitation can to do their overall health. During Clare’s visit, the kids were educated on the importance of sanitation and how to have good hygiene. The handwashing workshop consisted of a 10-15 minute lecture, a coloring session, and then finally a handwashing demonstration. Baresoaps provided 104, 2.5oz bars of Lemondrop and Home Sweet Home for this demonstration. We know that the Carepoint was able to obtain its own well. What’s so important about this well? Here in the US, we don’t think twice about using water. We leave the faucet on while brushing our teeth. We take 30 minute showers. We overwater the lawn without much thought into it. So for us, we forget how important having clean water is. When I first came to Kabermaido, Uganda in May 2012, the children had to carry the water from another well. The lack of water in their village meant that the kids had to walk for miles just to get clean water from a water well. The Carepoint has about 150 kids. Imagine how many times the kids have to walk back and forth to get water from another water well. When the kids have to walk long distances to get water, they have to limit how much water to drink so that they don’t have to spend their time traveling. Having access to the water well has made a huge difference. Instead of spending time carrying water, the kids are able to focus on their studies. The well also enables the kids to stay hydrated. They’re able to drink water all the time. Something as simple as having a water well that provides clean water for 150 kids makes a difference in ending poverty. 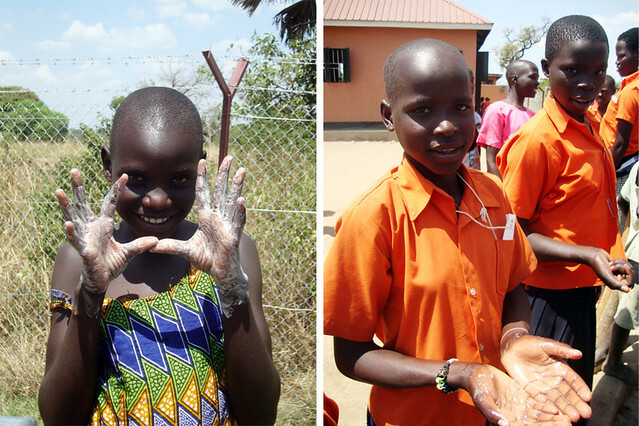 How did the idea of putting together a handwashing workshop for the kids happen? Well, many of the kids have actually had exposure to soap. 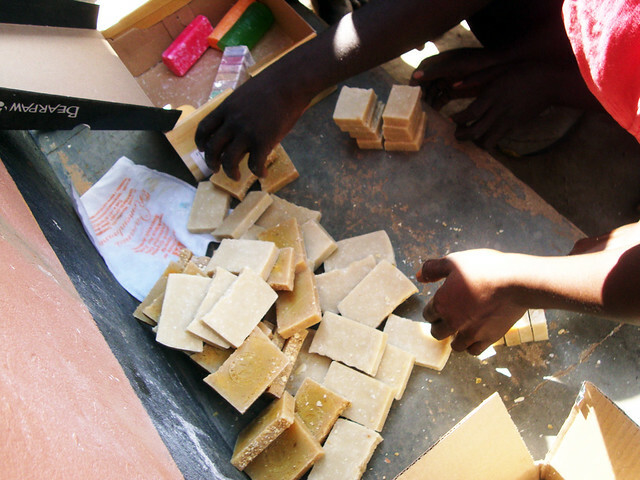 A typical bar of soap sells for about 2,500 shillings, which is roughly equivalent to 1 USD. As a frame of reference, a live chicken is about 8,000 shillings. 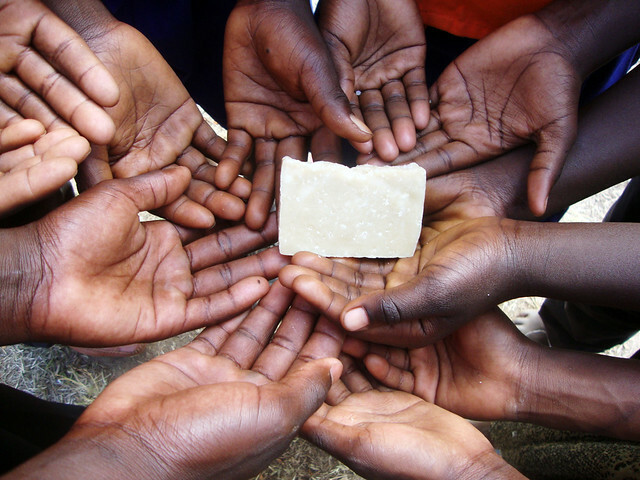 Unfortunately, many of these kids come from very poor families, so buying soap is out of the question. 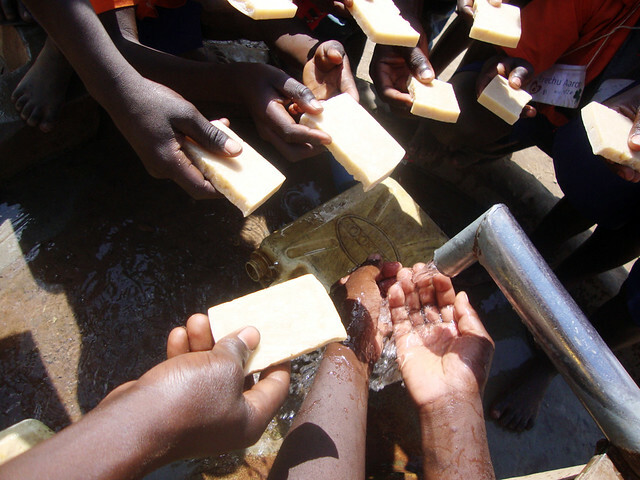 We wanted to make sure that the kids- with or without soap- could still understand the value in maintaining good hygiene practices. You have to understand- these kids play in the dirt and they eat with their hands. So for them, even rubbing their hands under running water is better than not washing at all. How many kids attended this workshop? About 100 kids attended the workshop. There was a range of kindergartners to high schoolers, which meant that I had to present the material in an understandable manner for all age groups. What hygiene topics did you talk about in this lecture? We covered a variety of easy hygiene topics, such as when to wash your hands. Some of the topics included washing your hands before you eat, after using the bathroom. We also shared how different illnesses can make you feel sick and how washing your hands can prevent germs from spreading. 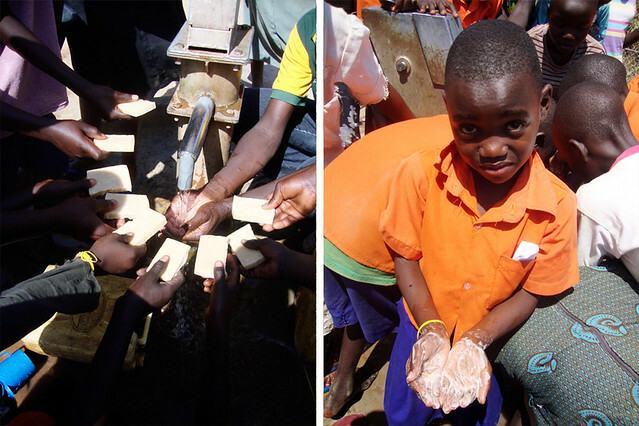 We wanted the kids to realize how hand washing can improve overall health. Do you think the kids actually understood what germs are? For the younger kids, it’s conceptually hard to understand. But for the older kids, they’re able to understand this concept. We made the lesson interactive by actively engaging them in conversation. What were the kids’ reaction to the comic strip and coloring section? They loved it! They love to color and they love to see things. Even though we told them that they could keep the comic, they tried to give it back to me. We wanted to use the comic as a way to reinforce what they learned. It’s a reminder for them as to what can happen if they don’t do the hygiene activities we taught them. My co-worker, Monica, actually made the comic herself, and we were floored when we saw how awesome it turned out! How did the kids like the handwashing session? It was overwhelming at first because there were so many kids. You can imagine that with 100 kids and one faucet, it took some time before all the kids were able to wash their hands. But it was incredible to see these kids lather up their hands. Obviously, we didn’t use up all the soap, so remaining bars were left at the well for future use. Do these kids usually use soap? Usually no, because there is no soap provided on site. If the kids are lucky, there may be soap at home. What happens if the kids run out of soap? 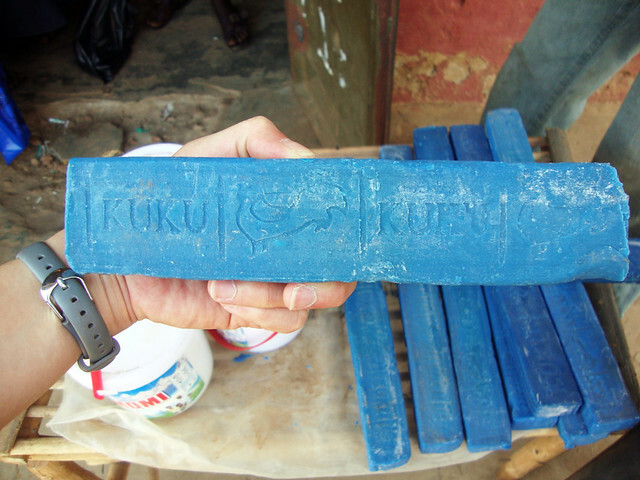 We didn’t want this lesson to be demeaning for kids who cannot afford soap. We emphasized that it’s okay if you don’t have access to soap- just washing your hands with water will help get rid of dirt. We’re cognizant that donating these bars is only a temporary solution, so the challenge is figuring out a way to teach the locals to make soap there. Unfortunately, it’s hard to source supplies, so it’s going to take some time before we can figure out logistics. Thank you so much for making this trip possible for Clare. Your purchase allows us to make an impact for 150 kids. Check out more of the images below! We'd love to hear your thoughts.